As a top-producing agent, Jodi Slutzky is a name that has become synonymous with results. 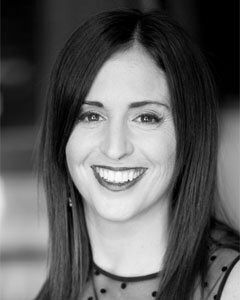 With over 13 years of experience in the Chicago real estate industry, Jodi leverages her extensive knowledge of the city's many neighborhoods when assisting buyers and sellers alike. With her comprehensive understanding of the city and all its distinct areas, Jodi has successfully worked with clients in achieving their buying and selling objectives in all areas of Chicago, specifically in the booming neighborhoods of Fulton Market and the West Loop. Jodi is a dedicated advocate for her clients”who she considers partners”throughout every step of the real estate process. By carefully listening to her clients and staying up-to-date on the trends of the marketplace, Jodi prides herself on her ability to identify the most appropriate options to meet the client needs at any given time. For buyers, her goal is to find the right home that fulfills every aspect of their range of needs: from schools, to lifestyle choices, to dining and more. Due to her proven track record, most of Jodi's business comes from client referrals”something she points to above all as a benchmark of her success. Utilizing her relationships, she is the trusted agent when working with the luxury high-rises at 200 North Jefferson and 165 North Canal in the Fulton River District. Jodi is also a certified Financial Planner, a discipline that has helped her guide her clients to making smart financial decisions when planning to either buy or sell their next home. Jodi has lived in the Fulton River/West Loop area for over 10 years. When she's not working around-the-clock for her clients, she enjoys traveling and being a foodie, trying the many different restaurants throughout Chicago. "Jodi is a ROCK STAR!!! She is great at this and I will continue to work with her! The entire pressure was gone in trying to find a renter, all I did was view two emails and that's it! Jodi took care of everything else! Thank you!"